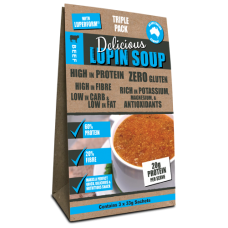 Body Ripped Delicious Beef Lupin Soup is a nutritious winter warmer like no other. 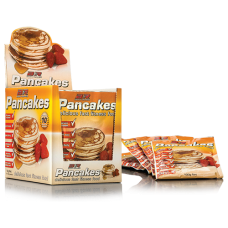 Made from a sp..
Take the boredom out of your muscle building breakfast - with Body Ripped Pancakes! Packed with 4.. 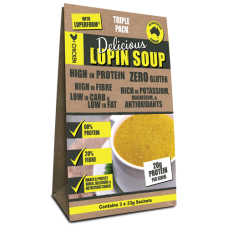 Body Ripped Delicious Chicken Lupin Soup is a nutritious winter warmer like no other. Made from a..